Staff Sgt. Anthony Landin, 92nd Maintenance Squadron hydraulics system craftsman, and Airman 1st Class Tage Sickler 92nd MXS hydraulics systems apprentice, attach the ruddervators to the refueling boom Dec. 16, 2016, at Fairchild Air Force Base, Wash. While in flight, the bell crank helps secure ruddervators to the refueling boom. The boom operator uses the ruddervators to guide the boom to the jet during refueling operations. As explained by Airman 1st Class Sean Campbell, 92d Air Refueling Wing in his article Fairchild hydraulics Airmen correct 60-year-old KC-135 maintenance flaw, this spring, Airmen from the 92nd Maintenance Squadron hydraulics shop at Fairchild Air Force Base (AFB), WA, were called to fix a KC-135 with an improperly installed boom ruddevator torque tube, which secures the ruddevators to the tanker’s refueling boom. The boom operator uses the ruddevators to guide the boom to another jet during refueling operations. If the bell crank is installed improperly, like it was in this case, the boom would be too difficult to control, making aerial refueling nearly impossible and risking the lives of the aircrews and both airframes. “It’s rare nowadays to have a [maintenance change] approved on an aircraft that has been around for over 60 years; most things have already been fixed at this point,” said Tech. Sgt. Bradley Alberts, 141st Maintenance Group quality assurance inspector. 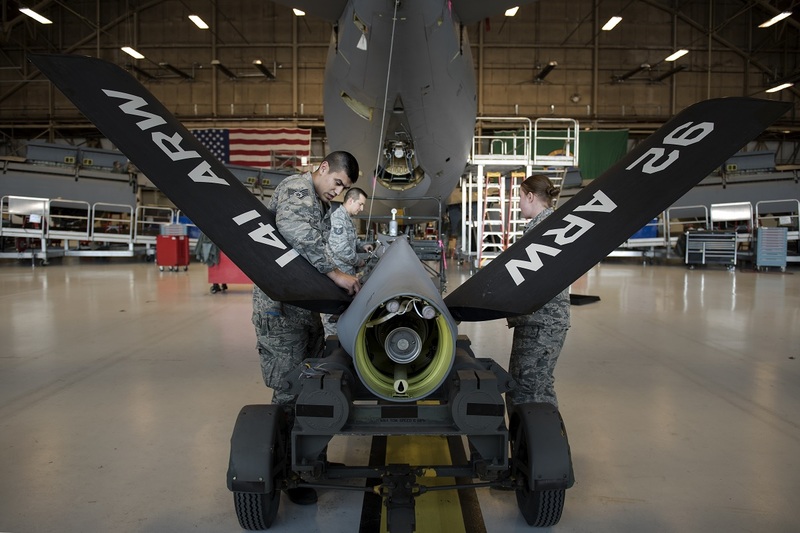 Airmen from the 92nd Maintenance Squadron hydraulics shop prepare a refueling boom to be attached to a KC-135 Stratotanker Dec. 16, 2016, at Fairchild Air Force Base, Wash. 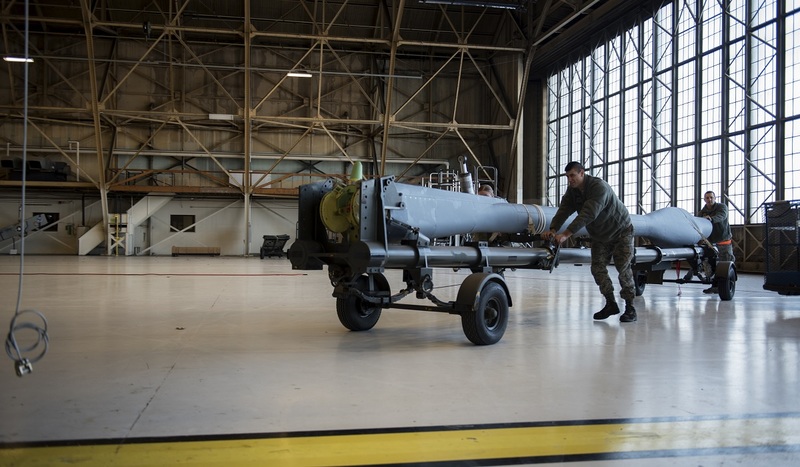 This spring, Airmen from the 92nd Maintenance Squadron hydraulics shop were called to fix a KC-135 with an improperly installed boom ruddevator torque tube, which secures the ruddevators to the tanker’s refueling boom. Upon further inspection of the bell crank and coinciding technical orders (T.O. ), the Airmen discovered inaccurate verbiage that likely led to the incorrect bell crank installation within the torque tube. Staff Sgt. Anthony Landin, 92nd Maintenance Squadron hydraulics system craftsman, and Airman 1st Class Tage Sickler 92nd MXS hydraulics systems apprentice, install a ruddevator Dec. 16, 2016, at Fairchild Air Force Base, Wash. If any of the parts located in the ruddevator control system are installed improperly, there is the possibility of damaging the entire boom. The Airmen submitted a correction form to amend the KC-135 technical orders Airmen reference when repairing aircraft. Their request for change was approved and the Air Force-wide correction will be applied to all future technical order versions. Noteworthy Changes have been submitted to the KC-135 Stratotanker’s T.O. 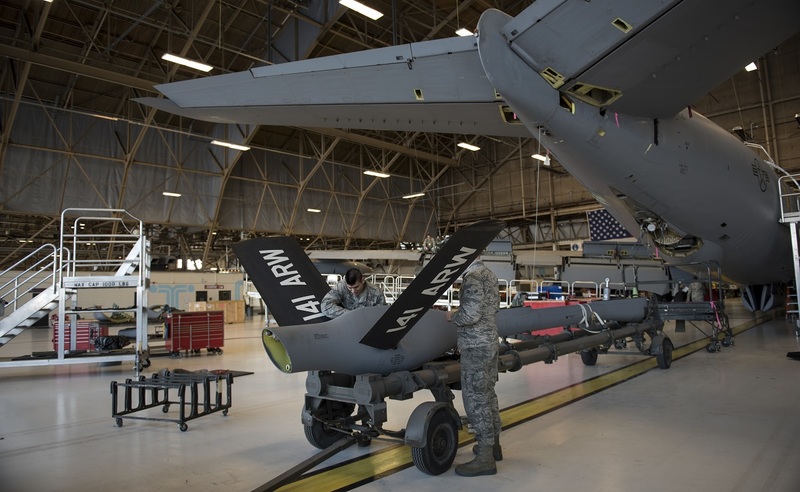 since the introduction of the aircraft in 1956 to correct errors, all in effort to make it safer for Airmen to maintain and fly the Stratotanker. Airmen from the 92nd Maintenance Squadron hydraulics shop move a new boom into position to be attached to a KC-135 Stratotanker Dec. 16, 2016, at Fairchild Air Force Base, Wash. 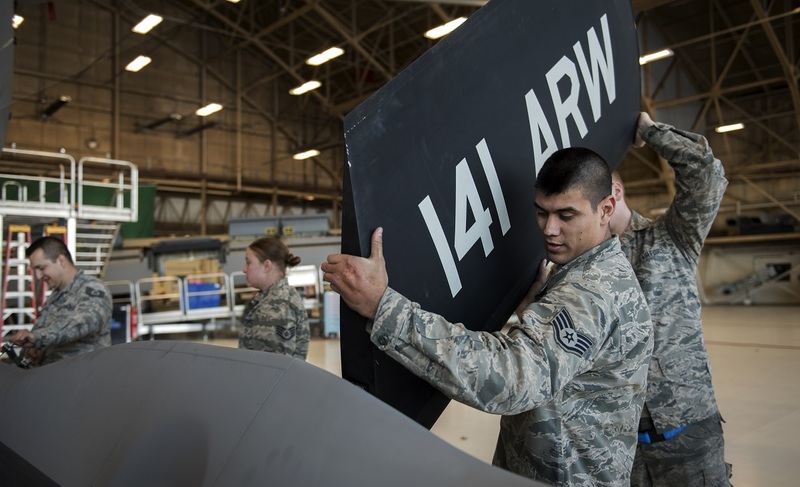 The Airmen submitted a correction form to amend the KC-135 technical orders Airmen reference when repairing aircraft. Their request for change was approved and the Air Force-wide correction will be applied to all future technical order versions.